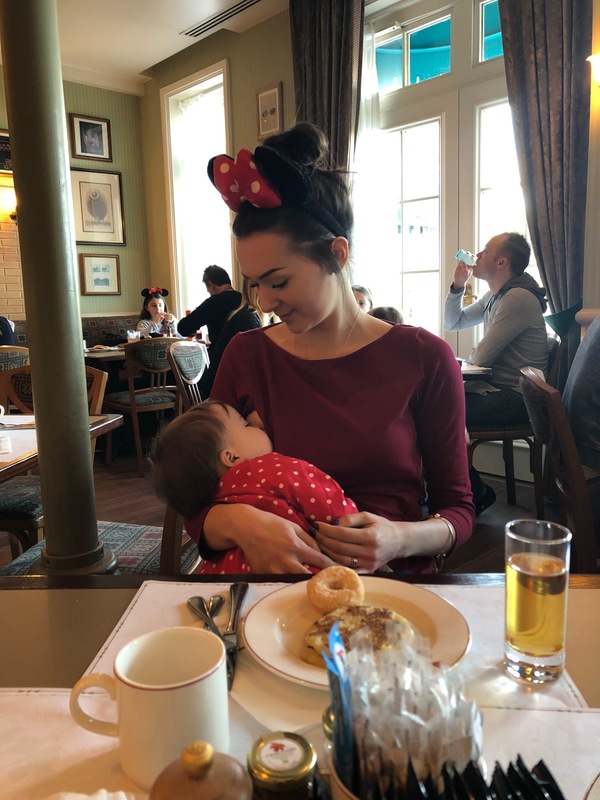 After our recent visit to Disneyland Paris, I knew that I wanted to have lots of coverage on breastfeeding in a different country. I think it's important to know the laws of where you are visiting. Here in England, breastfeeding mums are protected by the Equality Act 2010. A person (A) discriminates against a woman, if in the period of 26 weeks beginning with the day on which she gives birth treats her unfavourably because she has given birth. The reference in subsection (3) to treating a woman unfavourably because she has given birth includes, in particular, a reference to treating her unfavourably because she is breastfeeding. 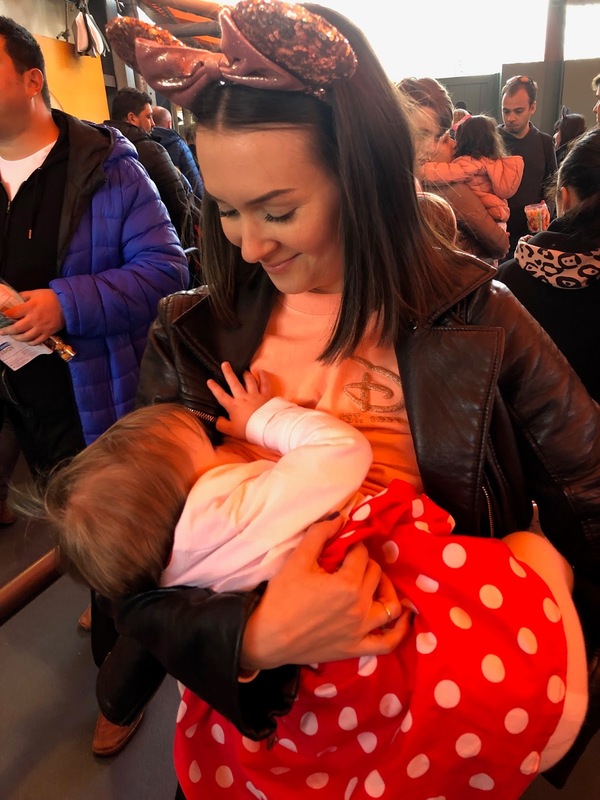 Although tabloids often evoke fear into their readers, with stories where breastfeeding mums have been told to leave, or have been discriminated against in public, then this particular type of legislation does provide protection for breastfeeding mums. As with any piece of legislation, the Equality Act 2010 does come with it's limitations. However, I will only be focusing on breastfeeding in public in this post. Although breastfeeding mums can breastfeed in most places, there are exceptions such as there being no protection for breastfeeding in a place that is providing a public service for men only, such as in places of worship, etc. In which case it may be justified to ask a woman to stop/cover up. After much searching, prior to our holiday to France, I was stumped. I was unable to find any legislation that protected breastfeeding mothers, as the law in England does. In France, whilst there is no protection for breastfeeding mothers, there is also no law to prevent a woman from doing so. There is nothing in the legislation in France that would prevent, or forbid, a mother from breastfeeding in public there. There have been some public debates, as there is here in the UK, about breastfeeding in public and whether it falls within a category for passive exhibitionism, in that it is exposing a body part, that is often seen as sexual. However, this is merely a cause for public debate, rather than there being any law for or against it. Where did that leave me? As I was aware of the lack of laws to protect breastfeeding mums in France, I wanted to make sure that I could be as discreet as I could be. As a general rule, I try to be as discreet as possible anyway, not only to avoid the odd stare from a bystander, but also to allow myself to have a bit of modesty. Thanks to the Milky Tee Co, kindly gifting me one of their cherry red long sleeved tees, it allowed me to keep myself covered on one of the days on our holiday. Breastfeeding on holiday, was made so much easier with my Milky Tee Co top, especially through their signature easy side zips. As well as keeping myself as covered as possible, I also tried to avoid super busy areas in the parks. Although I have no worry about breastfeeding in public, I do try to avoid areas that are too busy, mainly because it puts Edith off, as she gets so distracted, and I end up struggling to keep her latched. Around Disneyland, there were so many benches to sit on too, so there was never an issue about finding somewhere to stop and feed. During our holiday, we also met up with my lovely friend Beth, who is also a breastfeeding mama, so it felt like we had some power in numbers too! Have you got any experiences of breastfeeding abroad? You can find my friend Beth on Instagram by clicking here, for all things breastfeeding and honest and gentle parenting.